The 18th March 2013 was a proud day for the team at Pentagon Plastics Ltd as they received a business boost from TV Dragons’ Den star Theo Paphitis by way of the prestigious honour of a #SBS (Small Business Sunday) Award. As a business Pentagon joined Twitter and the world of Social Media almost a year ago as an innovative approach to marketing working alongside the existing traditional methods to raise service awareness. Keeping up with the tweets, posts and blogs falls to Paul Edwards (MD) and Gabby Day (Business Development) and at 8pm on the 18th March they were rewarded for all their hard work (most of it in their own time) with a re-tweet by Theo himself to his 337,000 followers and became one of this week’s winners of the highly coveted award and one of the few if any from the Polymer Industry!! The company offers a high quality Plastic Injection Moulding service including Design Assistance, Rapid Prototyping, Mould Tool Manufacture, Repeat Production and added value items to Customers requiring bespoke products. 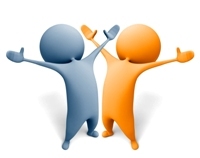 Social Media has developed into a very valuable marketing tool running alongside more traditional approaches. As well as making some invaluable contacts it has also helped Pentagon to bring UK Manufacturing to the forefront and show that it is a strong and growing industry. Pentagon initially wanted to raise their business profile locally and make some new local business connections which Twitter has helped them to achieve. They are also now followed nationally and globally raising their profile even higher. They are rightfully very proud to have bought this highly sought after Small Business Award home to Horsham, West Sussex and it gives true recognition that their forward thinking ideas are taking the business in the right direction. 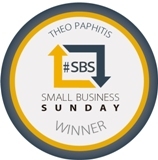 Anyone looking for a re-tweet from Theo should tweet him about their business on a Sunday between 5pm and 7:30pm and include the #SBS. Six lucky winners are then re-tweeted every Monday at 8pm and invited to enter their business profile on the new website. This is done free of charge and the new business is sponsored by Ryman Stationary, where Theo is Chairman. Don’t give up even if you don’t reach your goal immediately…. Thanks for reading & have a great weekend from us all at PentagonHQ! !